Think. Sketch. Elaborate. Sketch again. Grand ideas will fit into any format, but too much scrolling will wear out interest of most. Be on point, focus. A frame lures ideas into reality. Sketching by hand is a dynamic process that stimulates memory and creativity. Our brain feasts on it! Nevertheless, quick hand sketches for small screens are rarely done in meetings. Why? This sketchbook is designed by Rickard Frank Studio to stimulate sketching for small screens. It’s mobile sized and manufactured by hand at Norrbacka printery in Stockholm. It is highly recommended for sales meetings and other sessions where great minds comes to think and collaborate. Of methods to make a sketchbook, there are plenty. 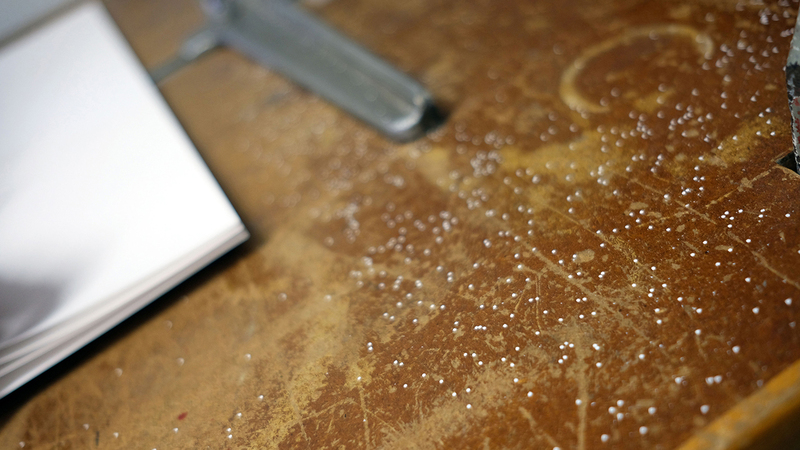 To craft it by hand makes it detectable by all senses. Size adjusted to small screens ensures seamless adaption of ideas into action. Local production is an act of support and engagement with global impact. Norrbacka printery in Stockholm is one of few in Sweden still using the Gutenberg book printing technique. 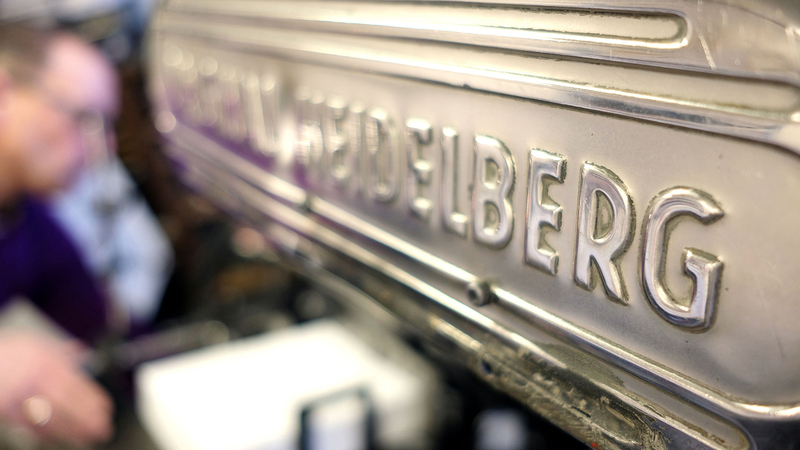 Heidelberg machines, of which some dates back to the early 1950´s, makes noise and perfectly printed letters in the factory. Typography with visual strength but also recognisable by a strike of a fingertip is manufactured here with great passion, to the joy of artists and connoisseurs. The sketchbooks are available in bunches of ten. Think. Sketch. Be bold. Sketch. Continue learning. Sketch. From head to action. Sketch. Discipline and endurance. Sketch. Make complicated look easy. Sketch. Cooperation and change. Sketch. Do not wait, make it now! Sketch. Make reality of great ideas. Sketch. The technique, in which colored and raised clichés are printed into the paper, can be derived from the origin of printing. 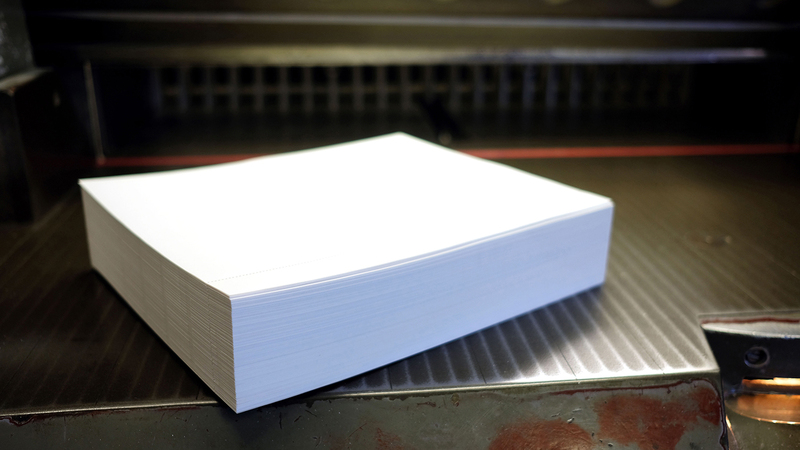 In the mid 1400s, Johan Gutenberg was the first in Europe to use this technique, which revolutionized the ability to spread printed material. The technology came to Sweden in the late 1400s. At Gutenberg's time, the clichés was made of wood or lead. Today mostly metal clichés are used. The white inside pages, are cut into A4 format. The paper type is Scandia 2000 natural white 115 grams, manufactured at Lessebo paper factory in Sweden. 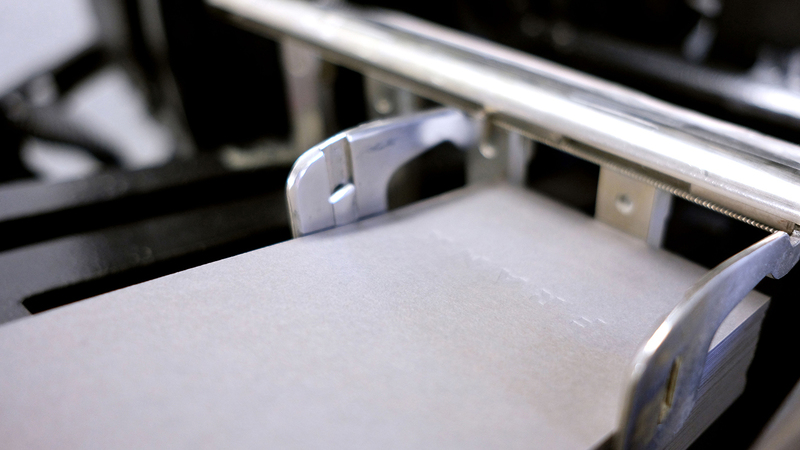 Time for alchemy: The white perforated sheets are manually inserted into the Heidelberg wing press. Lines, text and logotype is drummed on the papers. 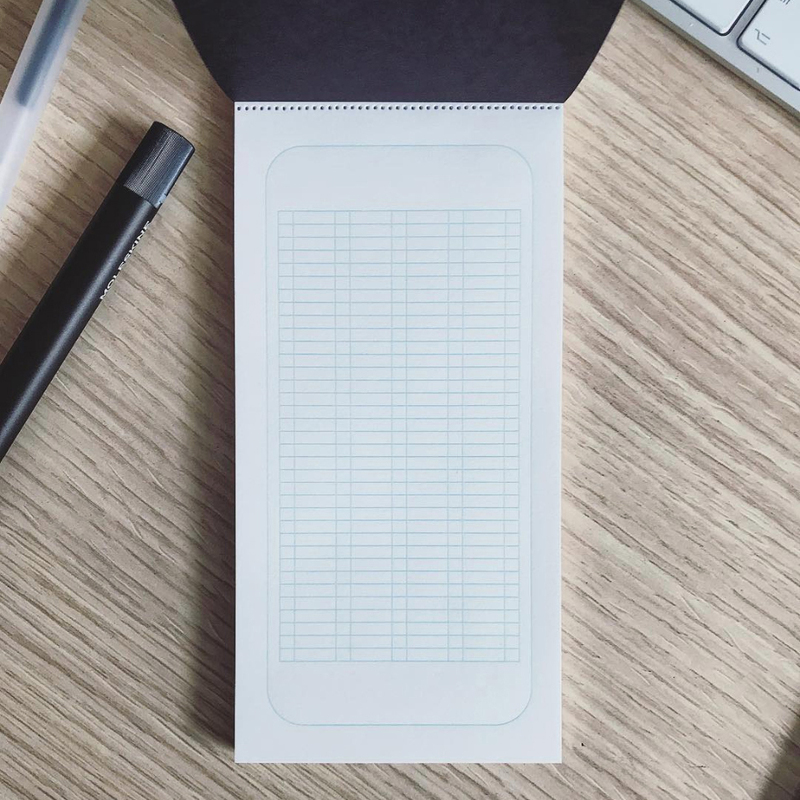 The stacks of printed sheets are cropped and glued at the top. 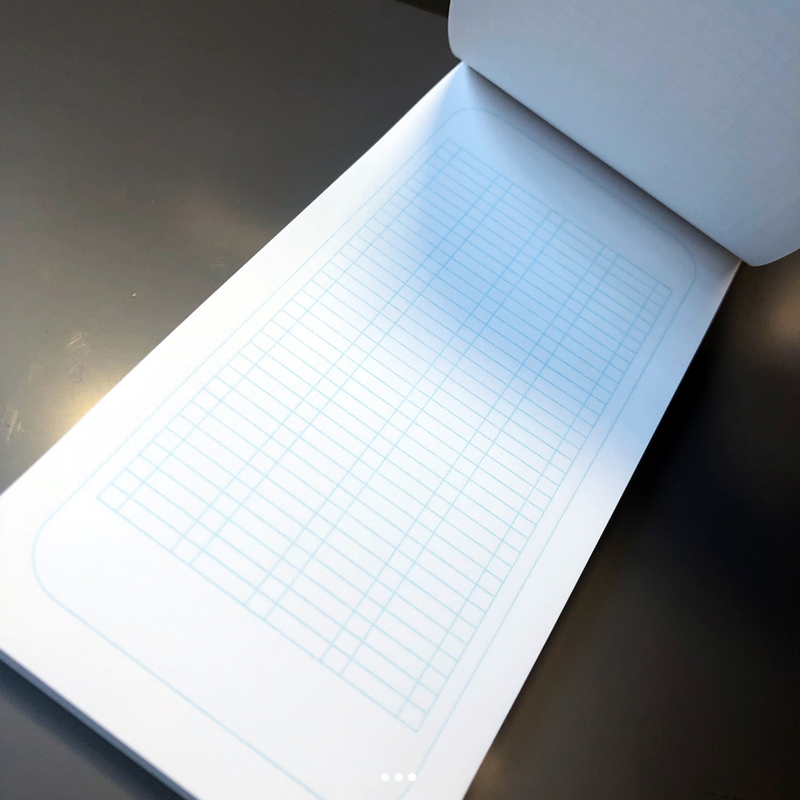 Now, the A4 bundles are divided into three sketchbooks and every side will be cut, book by book in the finished format. 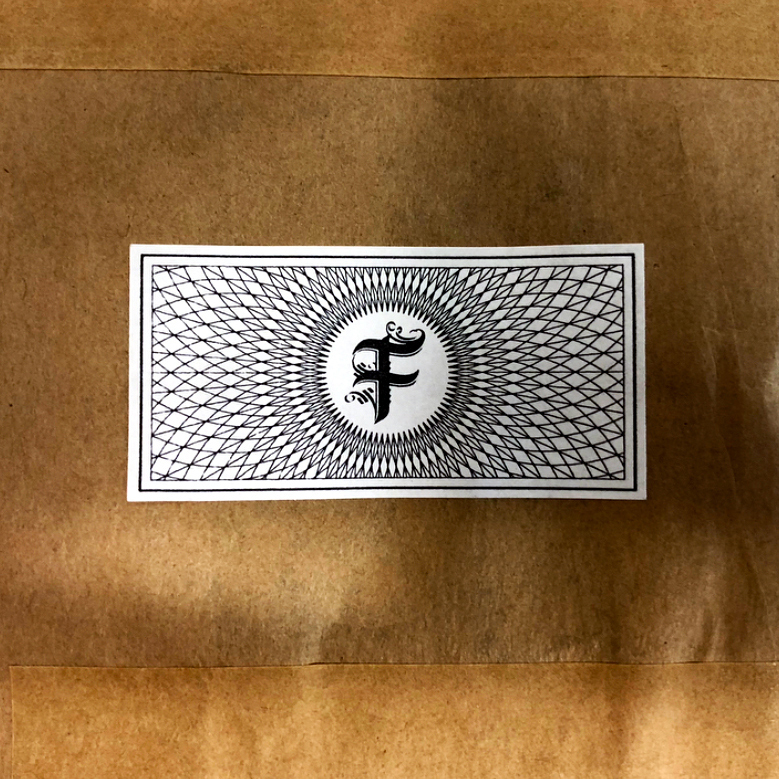 The covers, made of gray and black Keaykolour original 300 grams, are blind printed with the Frank logo. The top of the cover are blind folded, and the sketchbooks are then clamped up. The back of the book is blind printed with Norrbacka’s logotype before gluing and then folded over to the front to hide the clamps. All by hand, book by book. The sketchbooks are then bundled ten by ten where five have gray covers and five black. Each bundle is tied together by a red paper and sealed with a self-adhesive label made of Raflatac paper in the Antique Crema color. A long way for a small sketchbook you may think, but some things have to take their time. And it all started with a sketch.